On this episode, Vinny and Lonie sit down with special Guest: Jack V Lloyd. 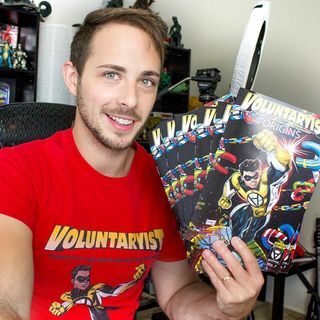 Jack manages many different libertarian outlets; Anarchyball, Free Market Memes, the Voluntaryist, and much more. We talk to Jack about how it is to spin so many plates, his comic series, his opinions on Cryptocurrency, and more!